Desgagnés proudly and enthusiastically announces the acquisition of a 5th dual-fuel (diesel/LNG) oil/chemical tanker, the M/T Fure Vinga, soon to be renamed M/T GAÏA DESGAGNÉS. 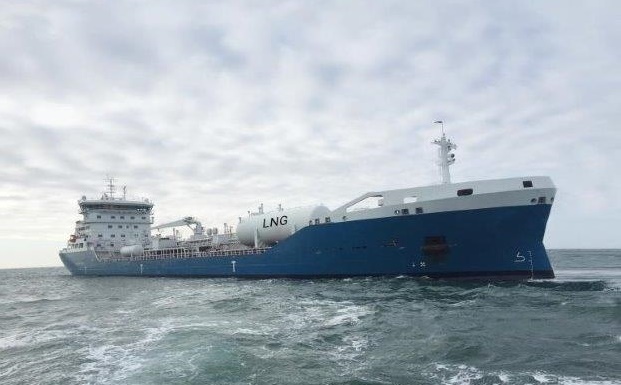 Able to sail worldwide, she will primarily carry refined petroleum products on the Great Lakes, the St. Lawrence, the Arctic and the East coasts of Canada and the United States. The addition of this newly-built ship also allows Desgagnés to assert its expertise in the operation of technologically advanced vessels, as well as its headway in the operation of dual-fuel systems. The GAÏA DESGAGNÉS, currently in Europe, will arrive in Canada by the end of April for the closing of the transaction, at which point she will be fitted to the Desgagnés colours and begin her operations by mid-May.